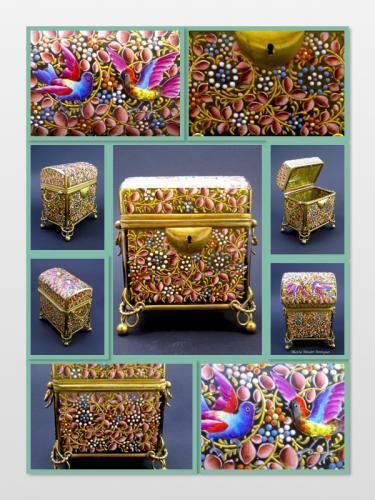 Antique MOSER 19th Century Amber Glass Casket with Domed Lid and Enamelled with Colourful Birds and Flowers Throughout. His other Known Distinguishing Features Included Raised Enamel Birds. Fine Dore Bronze Mounts and Double Handles.